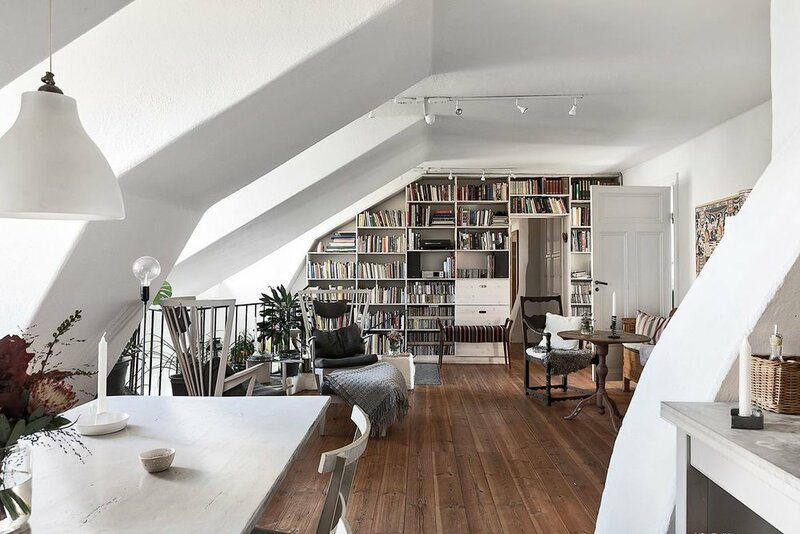 I reckon this quirky loft apartment is the perfect mix of Scandinavian and rustic styles. 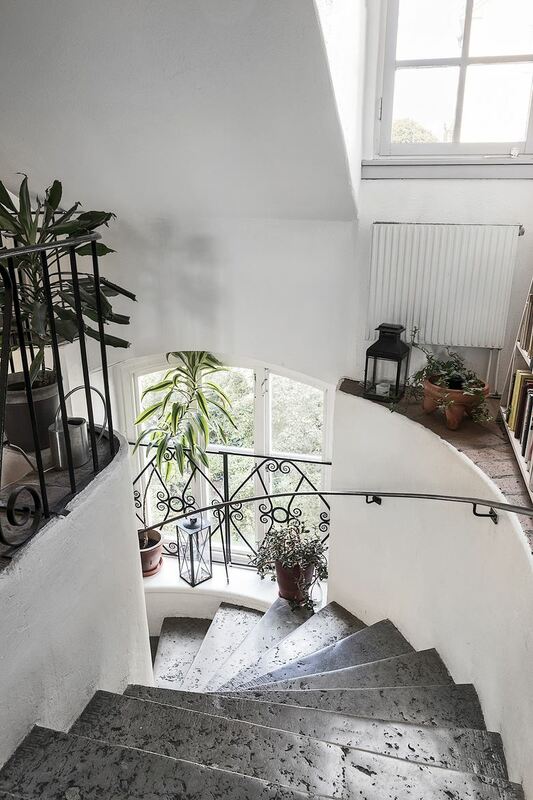 It's light, bright with plenty of white, but with enough soft touches to keep it cosy and livable. 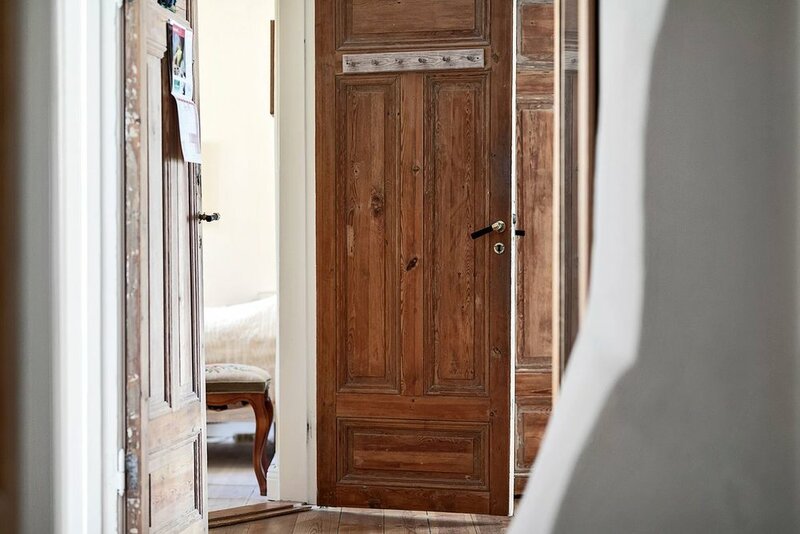 I spend a lot of time browsing Swedish real estate websites, which produces an unending supply of beautiful homes to serve as decorating inspiration - most of which I end up discarding, on the basis that they're so perfectly styled for the cameras that in reality they'd be impossible to live in. This one I could get involved with. 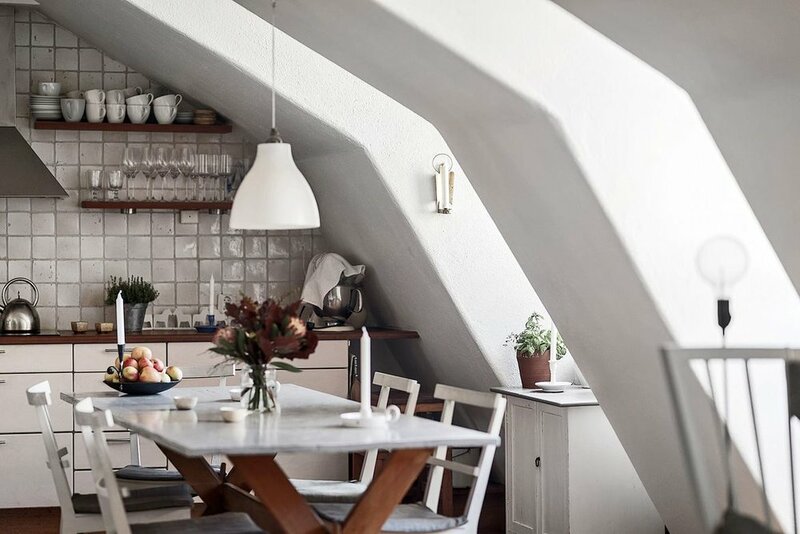 It draws on a lot of the same elements as the other apartments featured here - the immaculate kitchen, wooden floor, simple hanging light over the dining table - but with a few curveballs thrown in too. Instead of perfectly rectangular metro tiles, we have some lightly distressed purple ones. 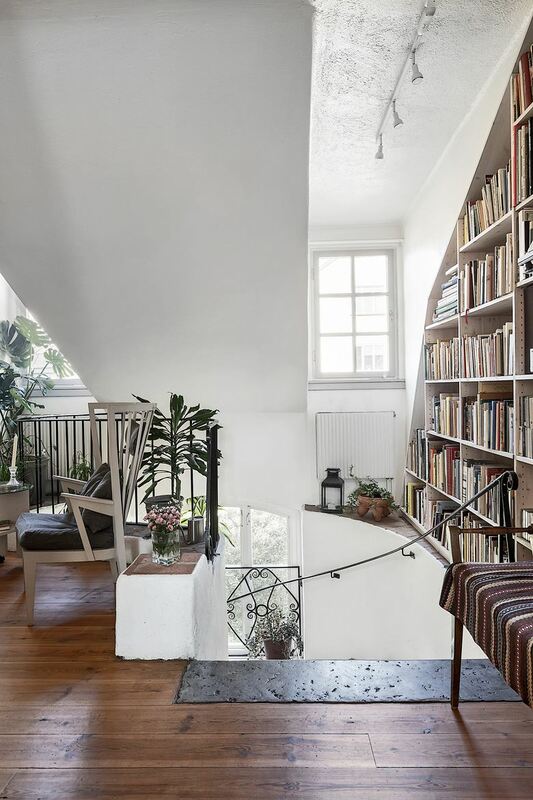 Rather than a carefully presented bookshelf complete with vignettes (or the books facing the wrong way, I hate that), we have a higgledy piggledy mess that sits almost-flush with the walls around it. The only thing I'm not sure about is the beds. Where's the rest of me supposed to go? All images courtesy of Bjurfors.